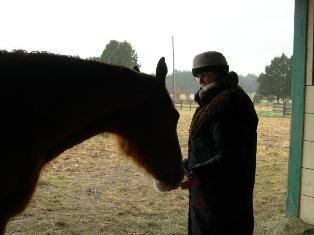 This is a reminder that there is an Animal Reiki II (Okuden) workshop in less than two weeks. 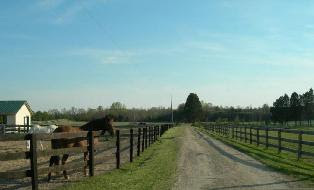 May 18, 19, 2009) The workshop will be held at TREES (Traveller's Rest Equine Elders Sanctuary) in Spotsylvania, VA. A portion of the workshop fee will be donated to TREES. Okuden means "Inner teachings" or hidden teachings. In level two we go deeper with our self healing and practices to discover the bright light that lives within each of us. You will also learn the level two symbols and mantras and how to work with them. Day two we will spend with the animals and begin working with your intuition. I hope that you are having wonderful experiences with your animal friends and Reiki. Please join us for the Reiki level II class in April. Don't worry if you have not been able to get much practice. 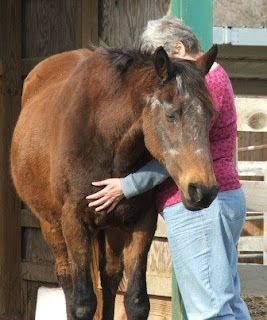 We will review what we learned in animal Reiki I.
Saturday & Sunday, April 18 & 19, 10am - 5pm both days.